Facebook isn’t just a social platform anymore. Even though the vast majority of users come to Facebook to keep up to date with news from friends, advertisers are finding in Facebook a real revenue stream and a platform to mine for more accurate data about their ideal customers. Around this time last year, I was struggling to use Google Analytics APIs and Google Sheets to identify user profiles for one of my top clients. This process was both tedious and time-consuming, but there was no alternative to doing it manually. I was basically making user personas by hand, and once I had established this user profile service, other customers began requesting it. By presenting it to them in my portfolio I found out just how little most companies actually knew about their user profiles and the invaluable data they provide. From a marketing perspective, most companies can’t afford not to know this information. These personas can dramatically improve ad performance because they’re based on accurate, useful consumer data. Littledata is committed to automating the most time-consuming parts of your day, so we started work on a Buyer Personas algorithm. 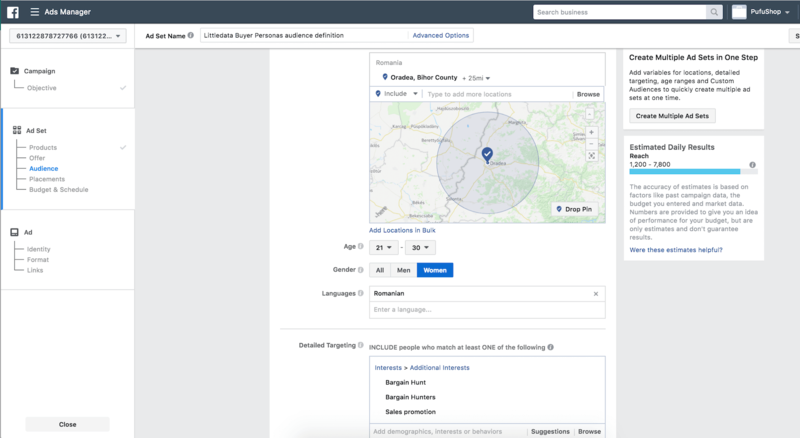 The resulting Buyer Personas feature shows you which type of customer, on which type of marketing channel, is most likely to convert — so you can spend smarter, not just more, on Facebook ad campaigns. Here’s how to use those personas to get higher ROI on Facebook. The first question you ask yourself when setting up a new ad campaign is: Who is the target audience? It seems simple, but companies often struggle to come up with an answer. I faced the same problem when I was working with Pufushop and was asked to help them set up a new Facebook ad campaign. I’ve set up many campaigns on Facebook, but usually the website has had a target audience in mind or the site had installed a Facebook Pixel so long ago that I could have found this out from Facebook Analytics. But for this particular project I needed to find the target audience based only on Google Analytics data. If you’ve read any of my blog posts you know that “feeling” is not a metric for me. We all know that Facebook and Google Analytics have different ways to define demographics and interests. And that’s okay, sometimes it’s even beneficial. On one side we have Facebook’s audience definition, which is sourced from how users self-identify in their profiles and also what content they interact with. On the other hand, we have the Google Analytics audience definition, which is based on presumptions about user behaviour and less rooted in user-generated data. I created the Buyer Personas profile below directly in the Littledata app. 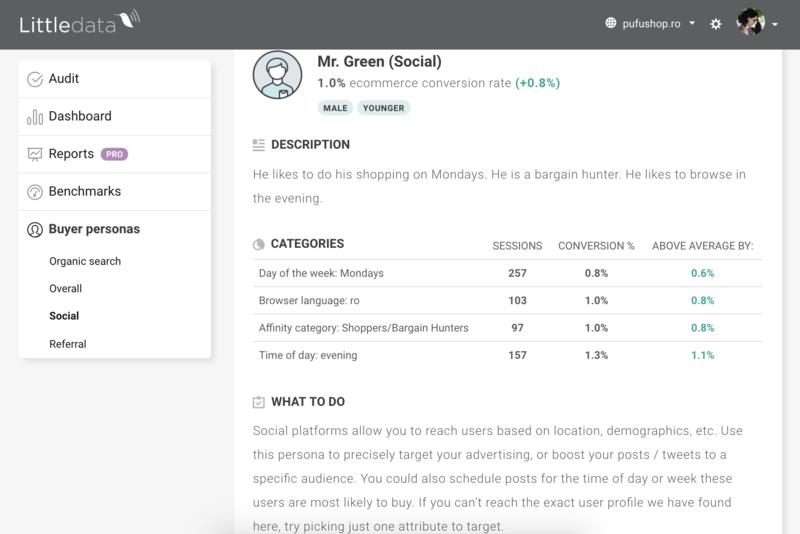 Our algorithms generate accurate personas based on your conversion goals and ecommerce setup, broken down by specific marketing channel (in this case, Facebook ads). Using our Buyer Personas feature I was able to find out the demographics and interests of Pufushop buyers — in under 3 minutes. That persona is the result of tens of automated permutations. Note that this sample website has relatively low volumes, so four user characteristics stand out. For higher-volume sites, more categories appear automatically. Once I had the required data, I was ready to start my campaign. Here is a step-by-step guide on how you can set up a Facebook ad campaign based on your Buyer Personas. In my case, I used a catalog sale because the campaign was promoting some items that were sold out and all of my products were part of a Collection and had the same target audience. Once I’ve chosen the catalog for the products and added the campaign name, I can click “Continue” and move on to the next step. I found out using Littledata’s Buyer Personas that my highest conversion rate is with users from Oradea, who are bargain-hunting females aged 21 to 30, have their browser set up in Romanian, and like to shop on Monday evenings. So I will set up that exact same audience for this ad set. Using all this insight as well as my specific need to present a 5-day sale with a minimal budget, I’ve successfully set up an audience that should convert at a higher rate. I click ‘Continue’ and on the next screen I add the creatives for the advertisement (image and text) and then, just like that, I’m done. To top it all off, this discovery and set up was done in less than an hour! 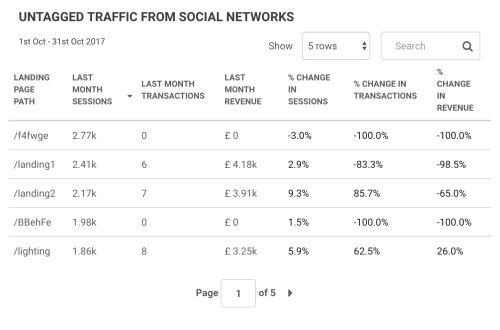 If you’re advertising on Facebook and want to see how your Facebook efforts are paying out, check out Littledata’s Social traffic pack. 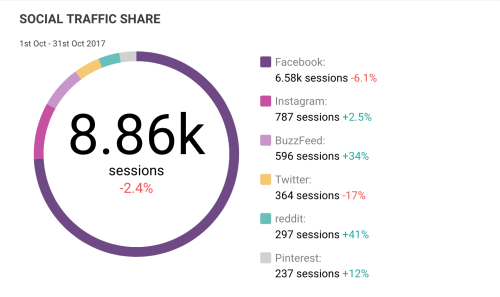 The pack pulls from your Google Analytics data to create automated reports on social traffic and top-performing campaigns. 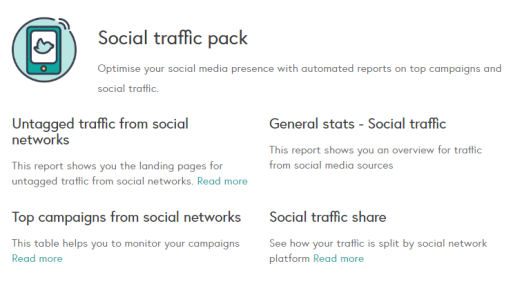 Included in the pack are reports that will show you landing pages for untagged traffic from social networks, an overview of traffic from social media sources, and top campaigns from social networks that help you monitor your campaigns, enabling you to track how your traffic is being split between social channels. We’ve also recently launched a Facebook cost import feature (more details coming soon). 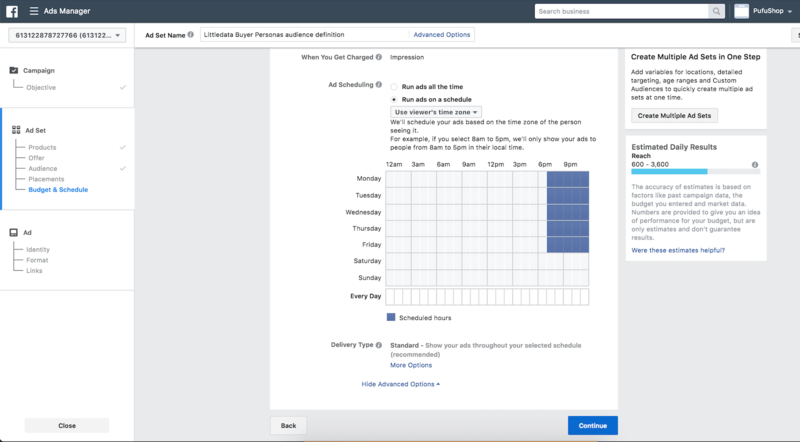 The feature links your Facebook data with Google Analytics so that you can ensure accurate tracking of your Facebook Ads spend — yet another way that Littledata helps you make informed, data-driven decisions. How are you using Buyer Personas and Facebook Ads? Leave a comment below! 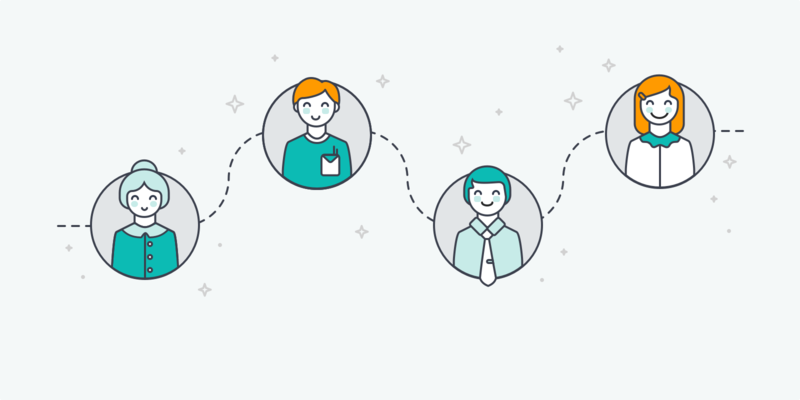 The buyer personas data in this blog post has been modified for illustrative purposes.